MarMax Haytel LLC, controlled by Aaron and Michael Brown, have sold the Mountain House Lodge for $10.1 million to a limited liability corporation. Mountain House Lodge has changed ownership. MarMax Haytel LLC, controlled by Aaron and Michael Brown, sold the Aspen bed and breakfast to 905 East Hopkins Avenue LLC, named after the lodge’s address. The sale price was $10.1 million, according to the Pitkin County Clerk and Recorder’s Office, which filed the transaction Tuesday. The Brown brothers couldn’t immediately be reached for comment. The identity of the principals behind the LCC that acquired property also weren’t readily available. The 26-room building’s days as a lodge already had expired when it permanently closed its doors April 6. Days later, a throng of bargain hunters went to the lodge to buy furniture and other items it was clearing out. The Brown’s LLC bought the lodge in December 2013 by acquiring the previous owner Mountain House Partners LLC’s $6.1 million loan note, which it defaulted on and led to its Chapter 11 bankruptcy. Last year, he Browns received City Council approval to raze the lodge and divide the 12,000-square-foot lot into two 6,000-square-foot lots. 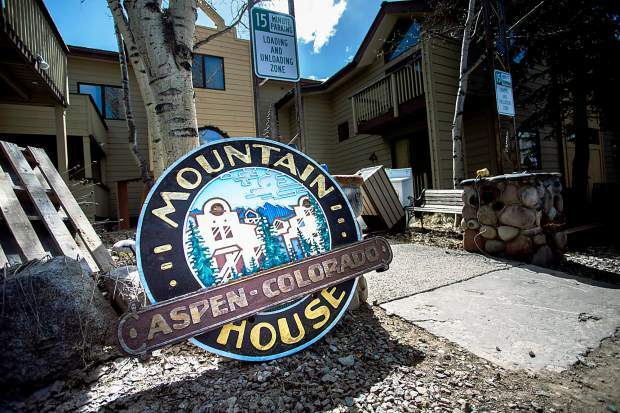 Incidentally, the city had once eyed the lodge for acquisition, when it was under the ownership of the bankrupt LLC so that Aspen wouldn’t lose one of its relatively cut-rate lodges. During their stint as owners, the Brown brothers said they were considering redeveloping the inn, but only if the city’s lodge-incentive program was to their liking. City Council passed a lodge-incentive ordinance in August, but public pressure mounted through a petition drive forced it to repeal it two weeks later. The Pitkin County Assessor’s Office has the property valued at a little more than $4.5 million.